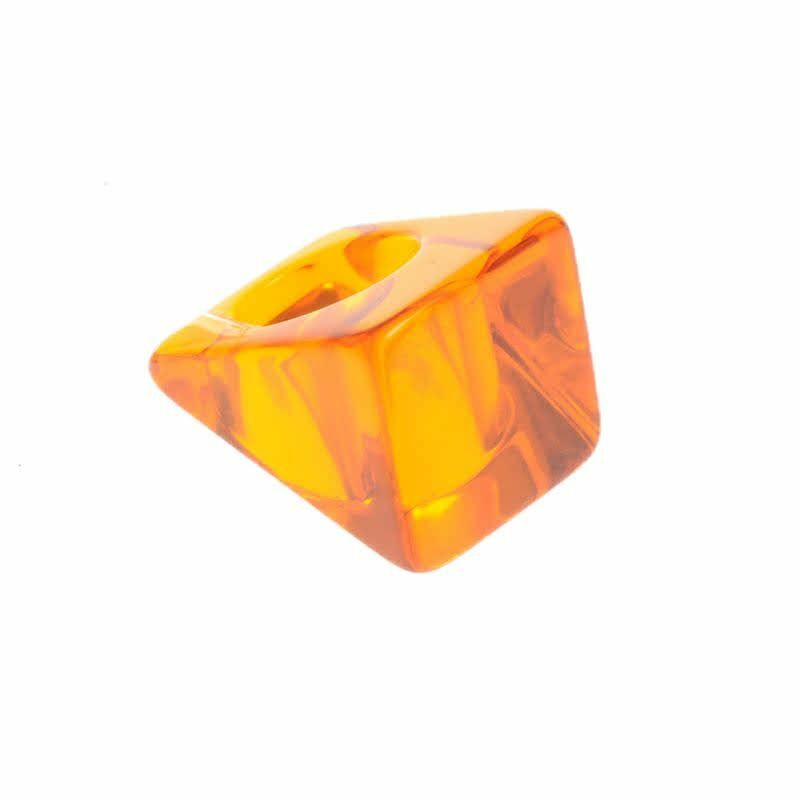 This fun statement transparent orange ring from Jackie Brazil is in their standard square size of 2cm x 2cm square on top.. This ring is aprox 17.75mm so around a UK size O-P. Handmade using transparent orange resin.